Give a Little Bio of yourself. I’m an Artist / Songwriter from the UK. My songs are written from the heart and delivered in a style that I hope make them ear catching and easy to relate too. In the last year I signed a management deal with a team whose artists include Justin Timberlake, Akon & David Archuleta. I’ve spent 2013 and 2014 writing and recording my songs in Sweden, Canada and the USA. 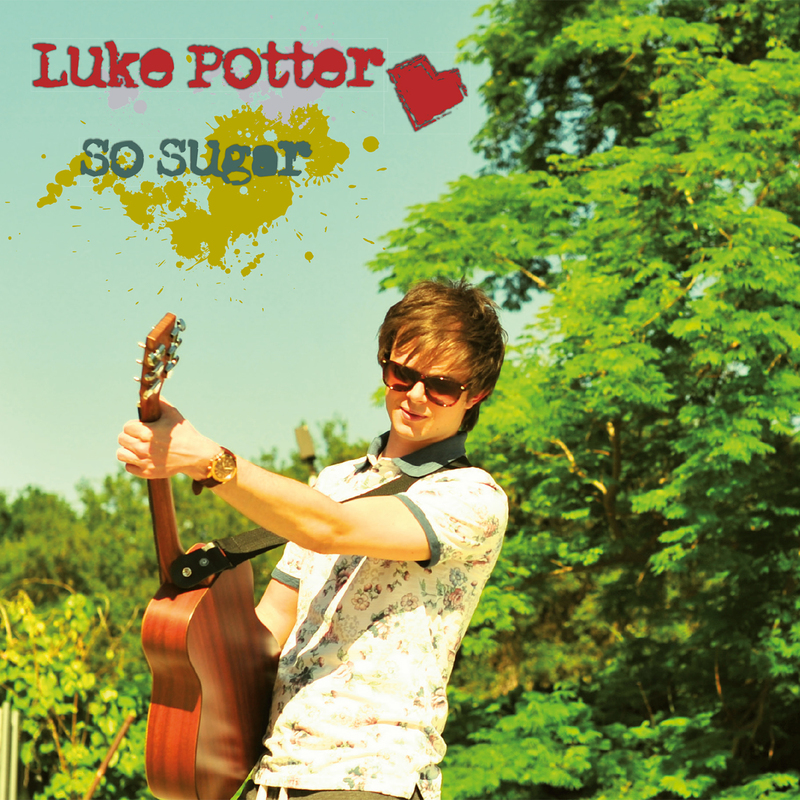 My 1st album, ‘So Sugar’, was released on November 18th, 2014 and I’m currently doing School Tours across the UK. I’m planning to write more songs and record my 2nd album in the summer of 2015. “Iris” by The Goo Goo Dolls is the song that made me realize I wanted to write songs. So, at 17 I picked up an acoustic guitar for the first time and started writing songs not only about love but also about growing up… and it helped that my Dad had lots of guitars in the house and my parents were always supporting me to write and play. Are you a Signed Artist? If so what label? I have my own label but I’d love to get signed by a major label so that they can help me get my music to more people. When will you be releasing new music? My 1st album, ‘So Sugar’ just came out on Nov 18th, 2014 but I know I’m gonna have a new album recorded and ready to go for July 2015. Well, that’s the plan at the moment!!! Where is your dream place to perform in UK? Probably 5 Seconds of Summer because I think they’d get my music! If you could go on Tour with any Singer or Band from USA who would it be and why? I love Imagine Dragons and it would be great to support them! I’ll be happy if I’m able to be writing music and earning enough to do what I love J but I think I’ll be happy whatever I’m doing! Who is your favourite Artist or Band at The Moment? If you got a tv show or film interested in your music, which one would you let your music be played on? If my music fitted into a TV show or film then that’d be great so not gonna be choosy on this one… as I just want people to hear it! Do you have any social media accounts for your fans? This entry was posted in Uncategorized and tagged genre of music, Goo Goo Dolls, Imagine Dragons, Justin Timberlake, Pop Music, UK. Bookmark the permalink. What are your Full names and ages? My name is Henry Green, I am 22 and I play bass. and finally Jamie Byrne. He is 24 and bangs boxes. We play what we love listening to, so it’s a kind of blend of stadium rock with hints of other genres creeping in. We love to experiment a bit, so often our sets are quite varied, but we definitely do have that ‘brand’ without that much effort to be honest. Jamie, Joe and I were actually in a band before. However, we decided to go in a new direction and do something much more personal to us. We were looking for a singer for AGES and then Tony pops up on Gumtree. Turns out he lives 5 minutes away from where we rehearse, so that’s a right bonus! From there we’ve released ‘The Sound EP’ back in May, to great reviews, particularly as we were still finding our feet as a collective. We’ve been overwhelmed by the response really. It’s a massive compliment that we’ve already been featured in articles and magazines from around the world, including a mention in Kerrang! and appearing live on BBC Introducing BHB. We’ve also had a couple of football teams play our songs; how cool is that?! As for us as individuals, I’ll start off with Joe. Joe is a highly intelligent master of physics, with about as much common sense as a bottle of bleach. He spends his time doing wizard stuff with computers and the like. Tony is our ‘showbiz’ guy; he used to act and has been singing since he climbed out of the womb. Oh he’s also good at impressions, my personal favourite being Terry Tibbs from Facejacker. Jamie is the party animal of the band. He spends most of his time wondering what happened the night before, and is slowly removing his brain, cell by cell. He’s also seen Muse 10 times! Then there is me; I guess I’m the weird one with a ever blossoming love for tea and biscuits. The name is actually a pun. As soon as you play music you ‘Exit the Black’ and ‘Enter the Red’ financially speaking. Basically, every musician is familiar with seeing the old “you have insufficient funds” screen on the ATM on a cold rainy day outside the venue just before a set. This is genuinely the reason we gig; free beer and food. We write songs in two main ways really. The first is when someone comes to a rehearsal with an idea. They will present it, play through it (however unfinished) and then we will see what happens. The other way is that we just jam and things evolve. As for who writes the songs in particular, we all do. For example, on the EP we all had the initial idea for at least one, and then all put it together to make, well, the EP! We all play a few actually. Tony plays keys as well as singing, Joe comes from a traditional Irish music playing family, so he knows how to fiddle and play banjo, as well as guitar. Other than being a drummer, Jamie is a guitarist too. And finally, I play bass, guitar, very basic piano and tend to sing in the shower a lot. We have a HUGE music collection between the four of us. Most notable are the big powerful bands like Muse, Biffy Clyro, Stereophonics etc, but we also have our own unique influences too. Jamie is the biggest Muse fan I know, and he’s also big into his house, his DJ of choice probably being Porter Robinson. Tony is a big Kelly Jones and Jamie Cullum fan, something you can really hear in his singing and playing. Joe is into his guitar nerds like Guthrie Govan, Joe Satriani and Joe Bonamassa, whilst sharing a recent love of Alt J with me. I am a softie, drawing massive influence from artists like Damien Rice, John Martyn and more recently, Ben Howard. I also like to rock out though, my band of choice at the moment being Wolf Alice. Oh, and we are all absolutely loving Royal Blood at the moment. They are bringing rock to the forefront again, what a band! Oh, and Young Guns, and Kasabian…stop me now. From what I understand, Tony came out from the womb singing professionally. You’d have to ask him but he had quite a trophy collection from a very young age. He then won a scholarship to Silvia Young and got into acting. However, singing has always been his true love, so here he is today. As mentioned earlier, Joe is from a traditional Irish music background. I’m not entirely sure how long he’s been playing, but I know he was pretty young, say about 9 or 10. Since then, he’s been among the first musicians to play traditional Irish music at Buckingham Palace to the Queen. I asked him to get a selfie with her, but Joe’s clearly too classy for those things. Jamie used to bang things a lot. By which I mean cans, boxes, and pieces of anything he could find really. Then one day his dad bought him a drum kit. He’s never looked back since, playing and destroying many big venues up and down the country. Then there is me. At the age of fifteen I was introduced to the weird and wonderful world of the bass guitarist. About a year later was my first gig, in the just under two thousand seater Fairfield Halls! Needless to say I was absolutely bricking it. Luckily all was good and from then I realised music was my thing. A bit late to the game but better late than never! When will you be releasing material? As mentioned before, we have already released ‘The Sound EP’. We’ve got a live recording coming soon from Tired Moon of our headline set at Bedford Esquires and then the plan is to get back in the studio shortly after the New Year. Exciting! A lot of places! I often get in a nice relaxed state and mess around a bit. The lyrics usually come in the shower or late at night when going to sleep. In terms of the actual subject matter, often they are just attempts at describing myself or my feelings towards things such as society, theories and love (not just in the conventional form). I can’t really speak for the others, but I imagine they aren’t too dissimilar to me. Where do you see the band in 2-5 years time? It would be nice to be saying “Hello Glastonbury!” I’m definitely getting that line in somewhere in my life! We seem to be heading in the right direction, so we’ve just got to keep at it and doing what we’re doing. Where would your dream place be to perform? For me, it would have to be Wembley Stadium and the major festivals. Imagine having thousands upon thousands singing our lyrics; utter madness! If you could do collaboration with anyone who would it be? Anyone who wants to work with us that would potentially have an interesting outcome. Them or Muse for the pure fun of it! If you wasn’t doing music what would you’s be doing? Tony would be on X Factor I reckon. He would confuse everyone by being in the over 25s category and looking about 12! Joe would be a geek in a science lab and Jamie would probably be some kind of criminal mastermind. As for me, probably best to leave that to your imagination! That’s a good one, not sure really. It’s a computer game but I know the guys would love us to be on FIFA or something. I’d like to be on the Moto GP championship credits. That would be seriously cool. That or on Trainspotting or something, I think that would suit us. 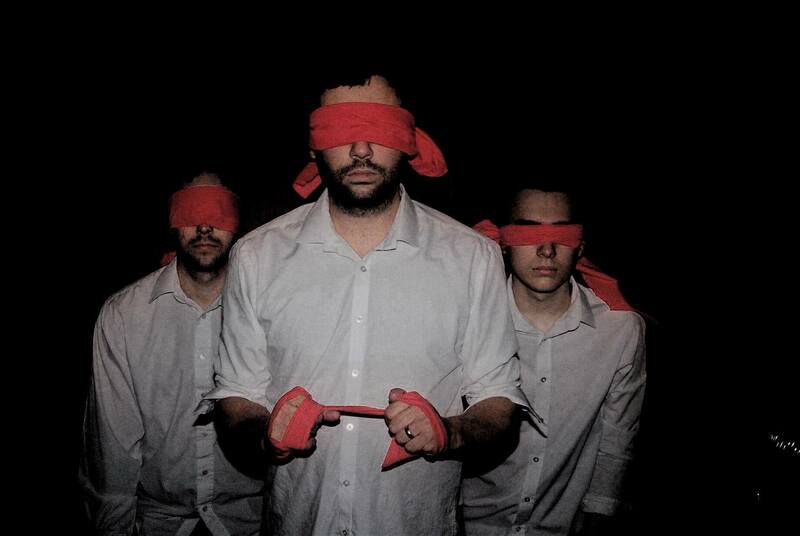 This entry was posted in Uncategorized and tagged exitblack band fourpiece boys. Bookmark the permalink. Get to know ‘The Updraft Imperative’ are a trio From Brisbane, Australia With a Groove Rock Genre. It’s honestly a challenge to ‘lock-us-in’ to any one genre…but if you took a healthy slice of groove, add some funk flavouring with a dash of pop you’d be pretty close. Give us a little bio of the band and you guys as individuals. Murray and Josh went to the same school, and the friendship and music began there. That was 20 years ago…we’ve all been involved in different bands/projects/churches, but The Updraft Imperative is almost like a standalone music ministry with good mates that contribute to it with the music and influences they bring to the table. We’ve all had very different life experiences, but always allow those experiences and influences to play a part in how our music is shaped and formed. It’s almost semi-fluidic in nature-as we change and our situations vary, that builds into The Updraft Imperative’s form and function. Josh on vocals, Murray on guitars and Pete on drums. Another modern twist (at least for Murray-the elder statesman in the group;)) is tracking on a Mac. This means as a 3 piece band, we can sound like a four piece or ‘more piece’ band. The song writing process is a group effort. Sometimes a song comes from a simple riff…other times it can be fully “4 tracked” and just needs lyrics. It’s often Josh who’s the wordsmith, leaving Pete & Muz to lock in a good, fat groove to the ‘music’ already in play. No. We are not signed. Do we want to be signed? If that’s the right thing for us and our music we’d certainly look at the options on the table. We think that being signed often means A is now achievable, but you can’t look at B, C or D anymore…that’s a big hypothetical of course. All the common instruments between us, plus some strings/brass. Murray is currently trying to have a song written featuring an accordion…the other lads are rejecting such notions. As mentioned previously, Josh&Murray have been playing together on & off for over 25 years. 6 years ago both their respective projects folded, which once again had them at loose ends. After an impromptu night of acoustic ‘jamming’ is was clear there were a few more tunes to come from their creative fiddling. After another year, a 10 track EP was released. Pete came on board as a good friend of Josh’s, and the rest is modern history. The influences are so varied and mixed it’s almost like saying put a radio on auto tune, listen to the first 100 songs that auto stops and plays, and probably 75% of those are influences. If it helps we are often compared to the likes of Red Hot Chilli Peppers, Matchbox 20, early Maroon 5 etc. So that can give somewhat of a minimal answer to a massive question. Pete has always been into music in some form, and was with a band shortly before joining The Updraft Imperative…he did find the other group a challenge to play with as their world view and take on music differed from his own. Josh is the ballads man, probably being influenced by nice gospel songs&hymns heard in services. He then inherited his dad’s old guitar…with a few lessons under his belt around year 6&7 he never looked back. Murray has the eccentric eclectic taste in music, and can happily swing from listening to Paganini to Pantera in a heartbeat. 60’s&70’s folk/rock flooded his house earlier on. All those influences often play out in our finished tunes. Within the next 2-3 months!!!!! Still doing what we’re doing now…just with taller kids I guess. If you could do a collaboration with anyone who would it be? Josh is a manager at a staircase company, Pete’s into IT at a school, and Murray manages a mechanical workshop. So that’s WHAT we do when we’re not in band mode. Do you have any Social Media Websites for fans to follow you? This entry was posted in Uncategorized and tagged influences, Josh Kerr, Murray Siddans, Updraft, Updraft Imperative. Bookmark the permalink. 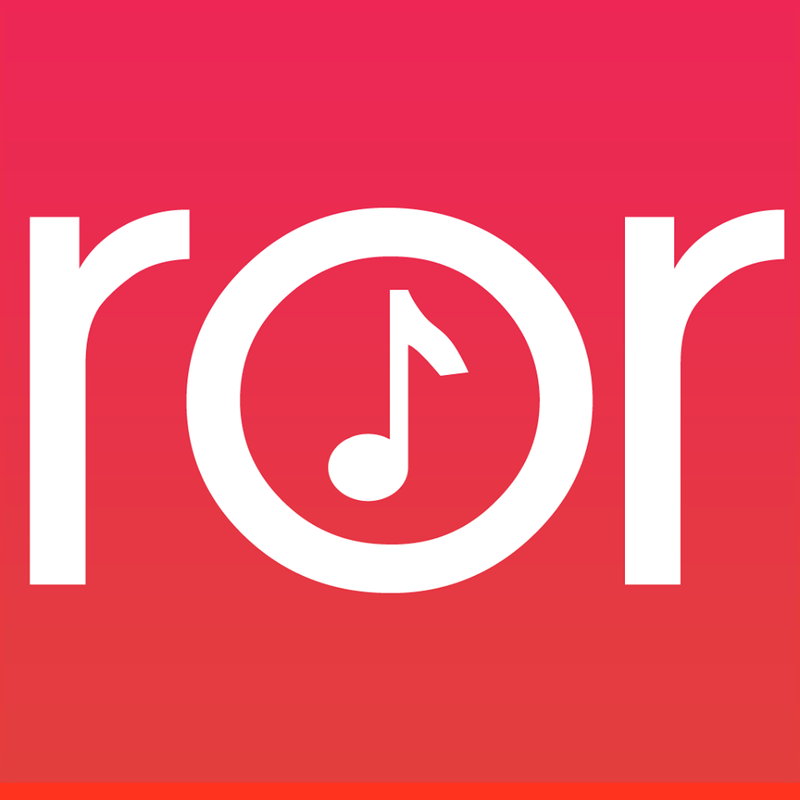 REVIEW: Rormix – An App to discover NEW music and Artists. A Fantastic way to get your music and music videos heard. This is an App that helps Musicians get their music heard and its a bloody good way i can tell you. I use this App a lot and it is fantastic, I look for new talent a lot and this is a easy way to do it. With the quick discovery button which shows video’s and if you like it you swipe the like button and if you dont you can skip it, this gives the makers of Rormix a good idea of what you all like which will help them improve. You Can also search by your favourite genre rreally easy too. These are just 6 out of the 26 genre’s this App has. You also have your own profile which you can follow your favourite music artists and keep updated with them. I suggest if you are a fan of emerging music then this is an fantastic app t have. I rate this app a full 10/10 . This entry was posted in Uncategorized and tagged emerging music, music videos, Review, rormix. Bookmark the permalink. 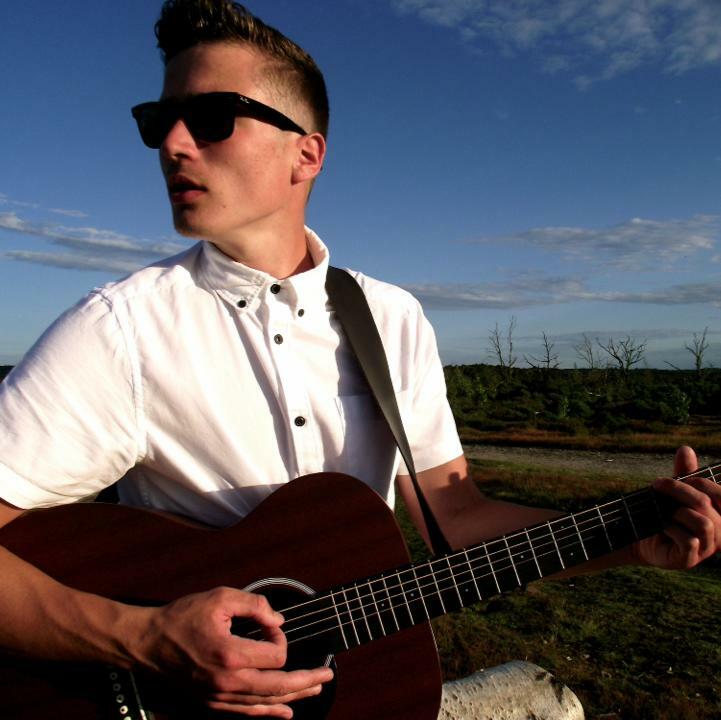 The 22 Year old , Joe Waller an Acoustic Singer/Songwriter from the South Of England! Acoustic/ Folk/ Pop. I think it is really difficult to generalise acoustic music. I’m a young singer song writer from the South of England. I start learning to play guitar around two years ago and performed for the first time just over 1 year ago. Since then I have been writing music and performing as much as possible. Now performing upwards of 2 times a week, I am starting to expand my fan base around the South and hoping to have my first EP release come the New Year. I bought a guitar one day randomly about 2 years ago and started learning. Only when a friend asked me to support their band did I really consider working towards being a musician. Only guitar. Working towards playing piano in my sets pretty soon though. Older influences include Bob Dylan, Elvis Presley and newer influences are Passenger, Nizlopi and Matt Corby. Hopefully in the New Year around the end of January as I am recording at the start of December. Things that happen in day to day life. Any emotion that comes from interacting with people, an experience or something you see can be made into a song. I believe raw emotion creates the best music. Where is your dream place to perform (Country)? United Kingdom. I would love to sell to The Shepherds Bush Empire one day. I’ll keep dreaming. Who would you like to perform with, if you got the chance? Passenger. He is my biggest inspiration; what he stands for, his music, the way he creates and produces his material, everything I want to do. Hopefully on a stage playing to an audience singing my songs back to me, if not, still working hard to get there. Teaching. I studied for 4 years to be a PE teacher and don’t really feel like I will be moving towards that field anymore. At the moment it is an Australian singer songwriter called Matt Corby. He is writing and performing the most incredible material at the moment that is fresh and different. If you could go on Tour with any Singer or Band who would it be and why? Passenger again. I truly believe his followers are there because they love his music. Not because they follow a crowd or listen to the charts, but simply because they appreciate amazing music. I wrote a song called ‘Miss You Much’. At the time I thought it was amazing and performed it for a few shows, but now it never gets sung or even featured on long set lists. Do you have any social media accounts for your fans to follow you? This entry was posted in Uncategorized and tagged genre of music, South of England. Bookmark the permalink. We are 3 men who create music and invite singers from all over Wales to guest appear on each and every track, something maybe outside their comfort zone! The name comes from general observation. In each different way we have a defence of ourselves, a lot of people show their worries and fears and others keep it hidden. Whatever they show, it’s still all Casual to get on with everyday life. Our defence is a kind of armour to protect us. We ain’t signed as we are concentrating on writing, producing and distributing our material! Our second series (EP) will be released on November 23rd! What is the Meaning about the new EP? We don’t tend to write tracks with certain meanings. If you sit down with a certain set of words or emotions set in your mind, you sometimes lose the quality of what you intend to produce. We like to let it run freely and then come up with a meaning of some sort. What’s your favourite track from your EP? Each track has its own identity and we don’t have a favourite. Each track has a different feel to it so we will let the people who listen to it be the judge of what they think is their favourite track. Why should people buy your EP? It’s free! Hoorah for free music! We were all in a previous band and sort of parted ways to create this project. We have known each other quite a while so the transaction of going to the three of us was quite easy. Ever since we first rehearsed as a 3 piece we knew it was right. There are many types of influences for Casual Armour. Jamie is more of the Alt rock with Biffy Clyro, Funeral For A Friend etc. Nathan is more of a 90’s indie man with The Cranberries, Manics etc and George is more blues/rock based with Joe Bonamassa and Black Country communion. The three of Casual Armour are all brought up in working class backgrounds as being from the valleys in South Wales. Jamie and Nathan never really took much interest in music at high school but George always took an interest and it shows in his playing. Jamie and Nathan started playing in bands at the age of around 16 and sort of blended in with the vibrant music scene that was booming at the early 2000’s. George also played in bands from a young age but started his musical journey as a guitar player a lot earlier. The south Wales valleys give you a lot of inspiration; musically it’s literally getting into a room and seeing how much noise with a tune we can make! Hopefully touring everywhere we possibly can and meeting some great people. In general having the best time possible. I think the three of us would love to perform at the Millennium Stadium in Cardiff. So many great bands have played there. The MGM Grand! What a venue! Probably with our influences. Simon Niel, James Dean Bradfield and Joe Bonamassa. If you could do collaboration with anyone in USA who would it be? Well if Elvis was still alive it would be him! There are so many to name, so many great artists to pick just one. Dave Grohl maybe? Probably carrying around other people’s amps and drums! our Facebook page is facebook.com/casualarmour. All links to our tracks are on these pages! This entry was posted in Uncategorized and tagged Casual Armour, Interview, Music, trio, wales. Bookmark the permalink. The Updraft Imperative is a 3 Piece Trio with a Groove Rock from Brisbane, Australia. The Trio made up of Josh Kerr who is lead vocalist, Murray Siddans on guitar and Pete Sercombe hitting the drums. Debuting their Album ‘Chairs’ which has 10 tracks which all have them great instrumentals and vocals. The First Track of the Album ‘One Life’ starts off guitar solo and then the vocals come in makes you want to listen again; this is track to encourage you. This is just a couple of their fantastic tracks, now it’s your turn you have a listen and watch out for this Trio. An upbeat Album and full of big tunes, this is a band to check out and watch their space. Id Listen to this Album everyday and every night. This entry was posted in Uncategorized and tagged australia, Band, Review Music, trio. Bookmark the permalink. The Indos are a Alternative Rock band Edinburgh creating a unique sound . On 3rd of November 2014 Will see the release of their debut EP ‘Fifty Shades Of Blue’ a number of fantastic harmonies and rhythms and making the tracks so good! First Track ‘3 Sticks of Dynamite ‘ seems like a personal track which they have gone through a hard time but the backing track with the drums and guitars make it an enjoyable track. The second track ‘Falling In and Out of Space’ starts off guitar solo which is interesting then the vocals jumps in and you automatically jump in to the track. This is an EP full of big tracks which make you want to listen over and over, This EP would be great to listen to when you are working or just sat in a room or in garden. Take a look at this when its out and follow the lads! This entry was posted in Uncategorized and tagged 50 Shades Of Blue, debut EP, Review, the Indos. Bookmark the permalink.